What to do when PortfolioCenter fails to omit an intra-group transfer Let us manage the data, so you can manage the money. Q. 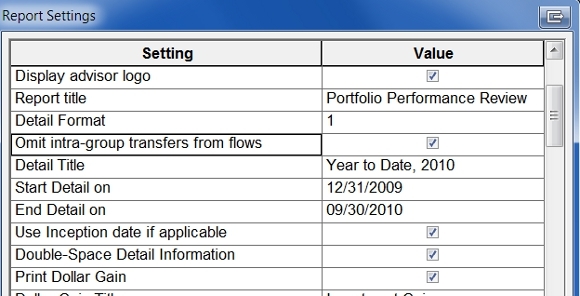 One of my intra-group transfers is not being omitted on a PortfolioCenter performance report. In this portfolio, $991 was transferred from one account in the group to another account in the group. I believe my settings are correct. Yet, that $991 is showing in both the “Contributions” and the “Withdrawals” columns. Can you explain why this intra-group flow is being treated differently than the others? A. In PortfolioCenter, an “intra-group transfer” is money or securities moved between two accounts in the same group, on the same day and for the same dollar amount. While intra-group transfers are omitted by default in presentation studio reports, the traditional reports may or may not omit them depending on your settings. Here is what to check when PortfolioCenter fails to recognize two trades as an intra-group transfer. Do the dollar amounts on the two trades match exactly? If a fee is withheld or the dollar amounts vary by even a penny, PortfolioCenter will NOT count the two trades as an intra-group flow. Do the two trades fall on the same trade date? If one of the transactions is delayed and settles on a different date, PortfolioCenter will fail to count the two trades as an intra-group flow. If you’re using a traditional performance report, is “Omit intra-group transfers from flows” checked? The three questions above usually unearth the culprit. But what if you’ve checked these three and PortfolioCenter still fails to handle the intra-group flow correctly? Is there another deposit or withdrawal in one or both of the accounts on the same day? In the example above, the receiving account had a withdrawal of $6000 on the same day as the $991 intra-group flow which fooled PortfolioCenter. 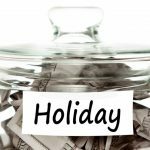 The transferring account shows a total withdrawal on 12/30 of $991.03, but the receiving account shows a total withdrawal on 12/30 of $5008.97 (-$6000+991.03). Since the dollar amounts on the total withdrawals for the day fail to match, PortfolioCenter does not recognize the intra-group flow. Solution: Change the date of the extra withdrawal to another day. Assuming no other issues, PortfolioCenter will now recognize the intra-group flow and omit it.